Some collect purely for the joy and hobby of it. They collect the entire set, their favorite players, or their favorite teams. Others speculate purely on the monetary value potential of cards and how to most effectively sell their cards. Others do a little bit of both, they enjoy collecting and holding onto some of their cards while moving others that they don’t want, that they can make money off of, or that someone else would enjoy more. An immediate question asked by many collectors is what their cards are worth. 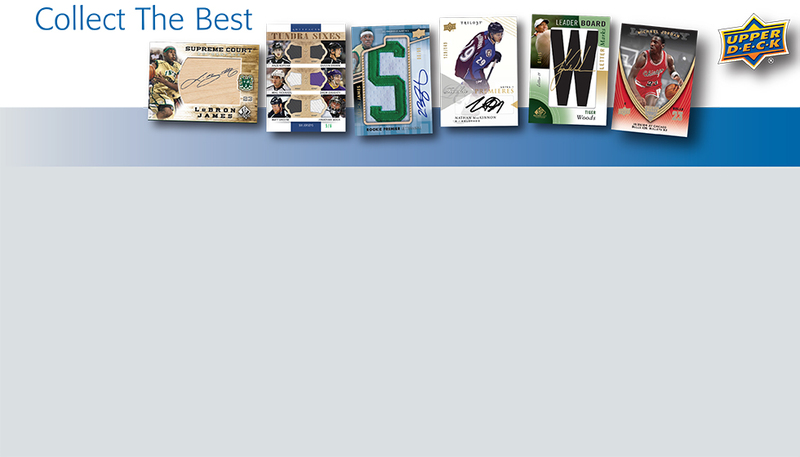 Upper Deck does not put values on trading cards, we simply manufacture them. A secondary market exists on single card and set sales. You can read this story that provides you with details on how you can determine the value of your card(s). How do I know what my sports memorabilia is worth? Trading cards are a pretty common commodity, but in the world of sports memorabilia, determining pricing and values can be a much tougher proposition. Luckily we did the work for you and have created a comprehensive guide on the best ways to determine values on signed sports memorabilia. 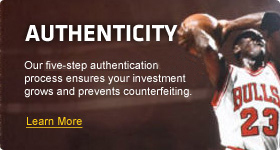 How do I know if a card or autograph is real? The Upper Deck Company was founded on the principle of authenticity, and was the first to introduce security holograms on cards in an effort to prevent counterfeiting. Other card companies have followed suit over the years. If you are looking to purchase a rare or expensive card, be sure to have an industry expert like your trusted local hobby store owner or a paid grading service analyze the card and/or signature for you. The extra time and money you put into it may save you in the long run. Upper Deck produces different variations of the same brand in order to cater to both hobby shop customers and retail consumers. Before you think that your local shop owner is giving you a bad deal, make sure that you are comparing apples to apples. Manufacturers create different box sizes with varying numbers of packs and content within the same product line for different customer needs. Boxes at retail generally have fewer packs, less cards or smaller insert ratios for exciting chase cards. Hobby boxes usually contain more packs and more inserts. Don’t be afraid to ask your local shop dealer questions about the products and points of differentiation between retail and hobby boxes. Typically, set collectors and parents like the lower-price points at retail, whereas more serious collectors who enjoy the thrill of pulling rare inserts prefer the extra investment in hobby products. 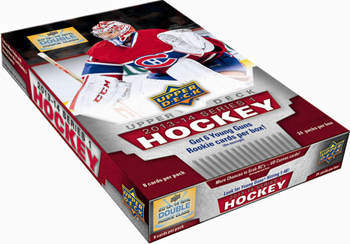 It should be noted that many of Upper Deck’s products, especially premium releases, are “Hobby-only,” meaning they do not have a retail version. These releases are generally very limited and have very compelling inserts and content. What are the most valuable trading cards? Vintage trading cards (generally viewed as prior to 1980) are highly collectible because they were produced in such limited quantities. During the 80’s and 90’s a high interest in trading cards created a need for more mass production, which in turn made values plummet on most releases. Today, Upper Deck believes it is critical to limit product production and take a more responsible approach to manufacturing, in order to increase trading card values. Today, the most valuable cards are typically tied to an athlete’s rookie year and /or are from super-premium releases like Exquisite Collection, The Cup and Ultimate Collection. When it comes to which players command the most dollars for their trading cards, they usually come directly from Upper Deck’s exclusive spokesmen stable. Upper Deck has the exclusive rights to produce autograph cards of legendary players like Michael Jordan, Wayne Gretzky, Tiger Woods, LeBron James, Bobby Orr, Rory McIlroy and others. 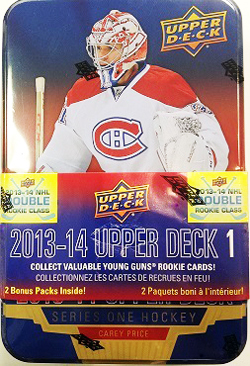 When it comes to getting the most value from opening packs, Upper Deck is the leader in that category. This LeBron James Exquisite Collection Rookie card routinely sells for over $20,000. Once you’ve started your collection, you will want to make sure you keep your cards in good condition. Don’t leave them around or use them for coasters when guests come over, protect your collection. Like most things of value, the better the condition, the more attractive and valuable an item will be. The same is true of trading card collecting. Cards that have bent corners, creases, or other issues that prevent them from being classified as “mint condition” have less value. We caught up with an executive at a trading card supply company who gave us a full rundown on all the different products they provide to help collectors keep their prized possessions in great shape. How do I insure my cards & memorabilia? Once you have a collection you are proud of, you will want to make sure you take the necessary precautions to keep it safe. An insurance expert shared with us three key tips on how to insure your sports collectibles, make sure to give the story a look!